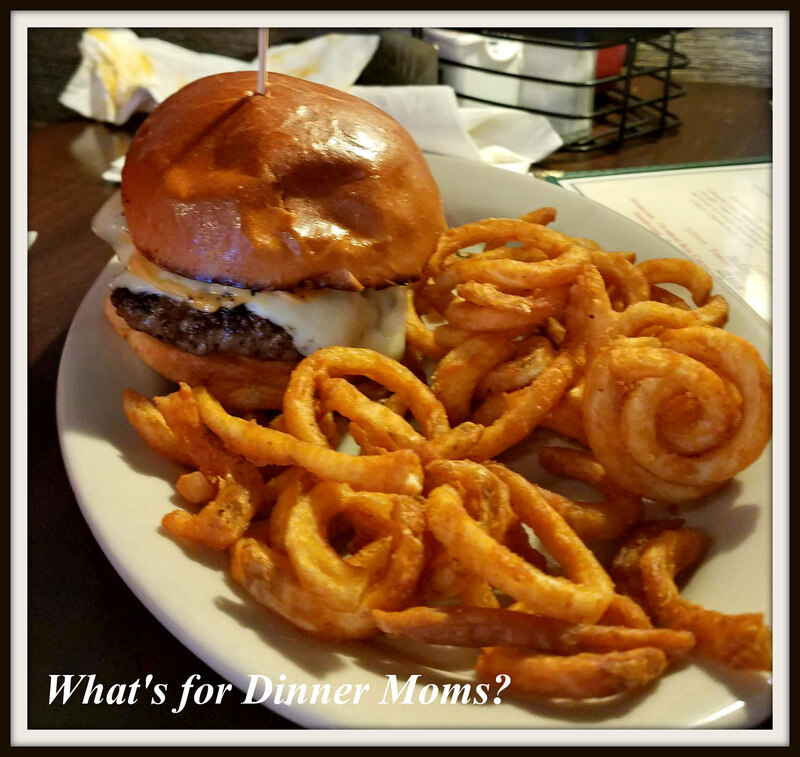 Bar Food on Vacation – What's for Dinner Moms? Our second night of vacation and we are having Buffalo wings! Yum. No matter where we go they are never the same as they are Western New York. These were perfectly fried with a slight crispness on the end. The spiciness had heat but not overwhelming the flavor. Blue cheese on the side for dipping and I was in heaven! 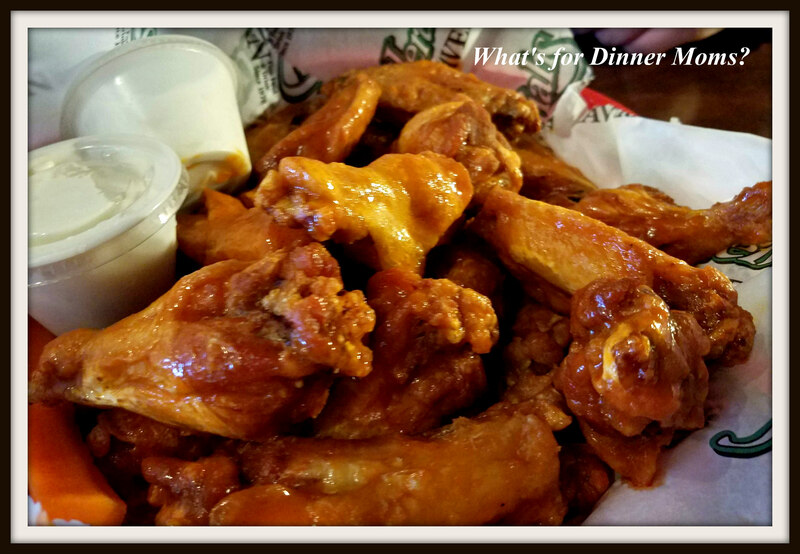 When we are in Rochester, New York Jeremiah’s Tavern (click for link to website) is where we head for our wing fix. This bar had lots of televisions for watching the basketball games and was not crowded so it was easy to get a table. Two pluses on a night when you are really hungry and craving bar food. Jeremiah’s best known for its wings but we had to have some poutine as long as were there. 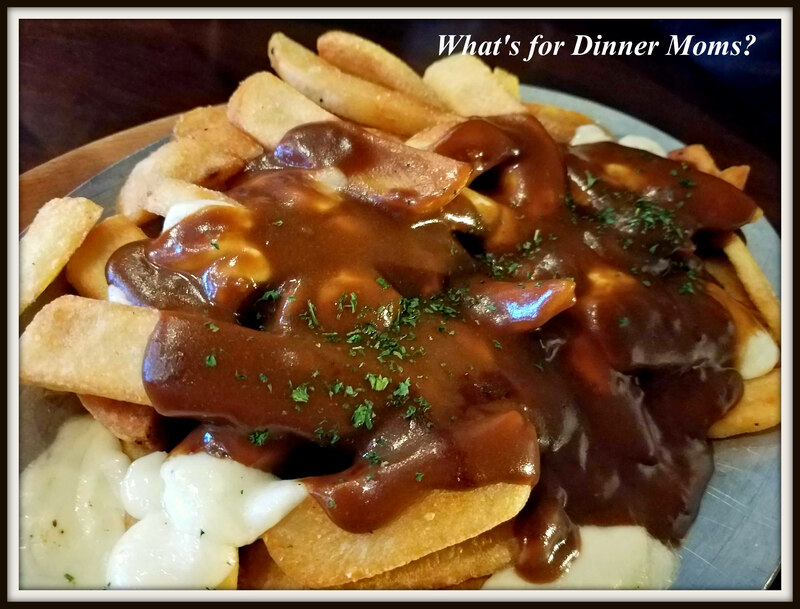 We have had poutine all over and in Canada but love it in Canada and in Western New York. They use cheese curd and not some of the other cheeses that other places use. We have had poutine with cheddar, chili instead of gravy, and over tater tots. It is never the same as cheese cured, brown gravy, and fresh fried French fries. What’s for Dinner? This Smokehouse Burger was a charbroiled Burger Topped with House Smoked Andouille Sausage, Caramelized Onions, Melted Pepper-Jack Cheese, and Chipotle Mayo on a Grilled Brioche Roll with curly fries on the side. My son was wishing for a bit more flavor from the sausage but thought it got lost among all the other flavors but it was still a good burger. A bit of a different take on the French dip is this Pastrami dip. A Grilled Pastrami piled high topped with Melted Swiss served on a Toasted Baguette with Whole Grain Mustard, and Au Jus to dip. I am thinking I need to recreate this dish. Pastrami is one of my favorites and this would be super easy to make into a casserole or pizza. Yummm. 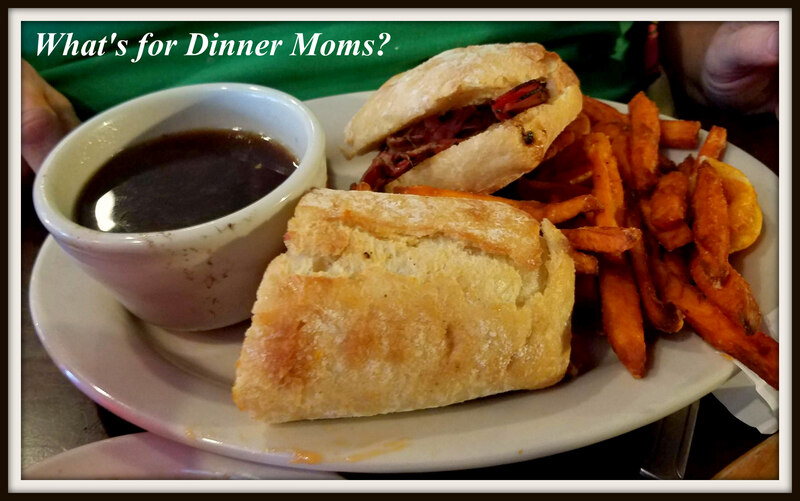 We loved our wing fix and bar food and cannot wait for our next visit to Jeremiah’s Tavern. My wing loving son said, “I think if these are not the best wings in the country they are very close to the top!” Now that’s a compliment.